Apple officially made Siri for iPhone 4S only, leaving older iOS devices such as the iPhone 4 without Siri even though it perfectly run iOS 5. We’ve seen some attempts trying to make Siri work on older devices such as iPad and iPod touch. But those attempts were a fail because the hackers who did it were only able to port the software (siri interface), but the Siri interface needs authentication to connect to Apple’s Siri server and only iPhone 4S are able to connect to the Apple servers with no issues. But finally with this hack by @stroughtonsmith and @chpwn, older iOS devices can connect to Apple servers with no issues, just like the iPhone 4S, and get responds from Siri. The hackers posted the video embedded below demonstrating Siri perfectly working on an iPod touch 4G and getting responds from Siri. Siri seems to be running with no bugs in the video answering all the questions. Developer @stroughtonsmith stated that it has poor performance on the iPod touch due to the microphone found in the iPod. 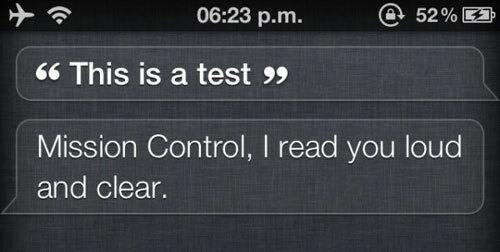 However, it works great on the iPhone 4 and it runs just like Siri on the iPhone 4S. The hacker also said that a public release is not possible at this time due to legal issues in repackaging Apple’s code and distributing it. But it will be released on Cydia once there is a jailbreak available for iOS 5 and iPhone 4S.